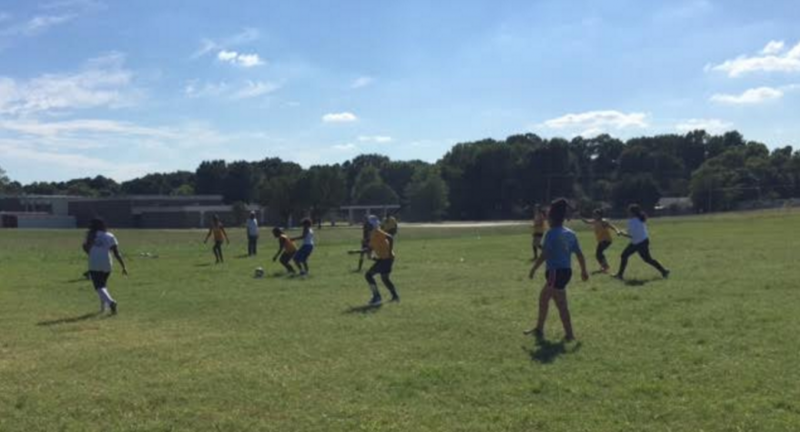 This is a good year for Sheffield High, in Memphis – the school is building its very first girls’ soccer team. And about time! 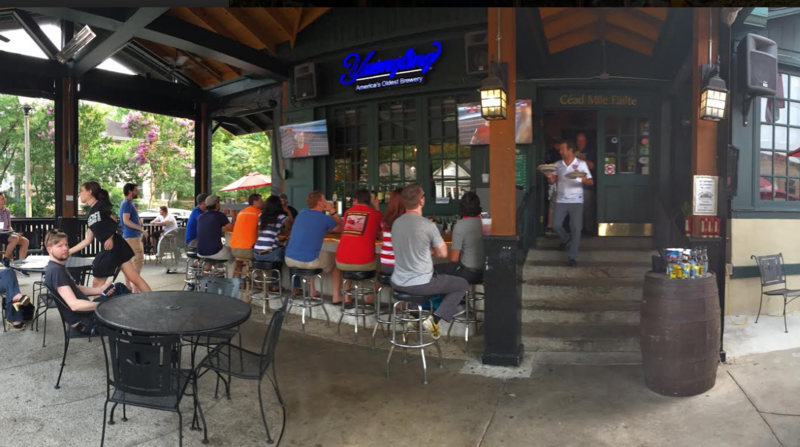 Memphis has a robust soccer community, with rec leagues up the wazoo for all ages, and the best soccer pub in the state of Tennessee situated right in the Cooper-Young neighborhood of the city. But while Sheffield has had a boy’s team, there never seemed to be the resources for a girls’ team. Sound unfair? One of the super cool lessons to learn from this campaign has to do with how the person with the lightbulb idea found the right person to bring it to life. It was a Teach For America Fellow at Sheffield, actually, who initially realized that the school should have a girls’ soccer team; she did her homework, discovered that Celtic Crossing was the epicenter of the soccer community, and – though neither of Naylor’s two young children are students at Sheffield – reached out to Naylor for help. Naylor jumped on board, bringing the idea to her over-35 women’s league, and immediately brainstorming with the larger community. Soon, her women’s league was hosting equipment drives and dropping in on Sheffield High soccer practice sessions. 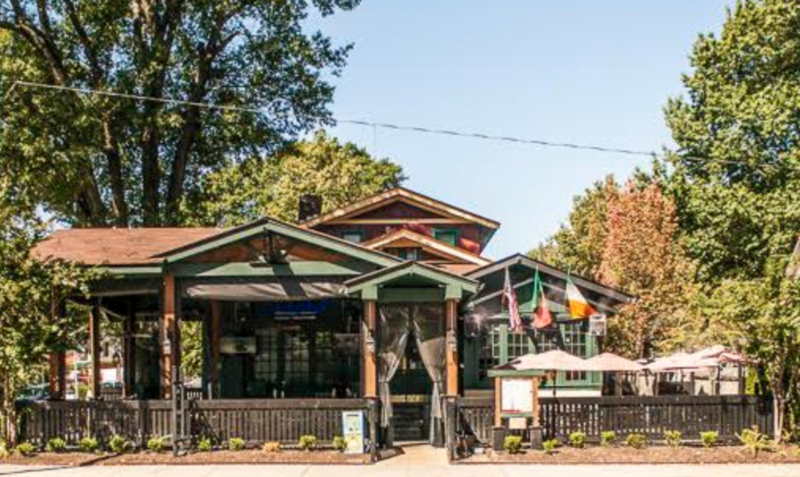 At the pub, she’s been asking her regulars to contribute, and they’ve been saying yes. “My father got married when I was young,” Naylor explains of her early start in the sport, “and I went from being an only child – you know, father-daughter – to having three stepbrothers. So it was kind of like ‘you play sports with your brothers or you don’t have anyone to play with.’ But I was probably the most athletic, so it stuck with me.” From an early age, she took the initiative when it came to soccer. “I remember kind of wanting to play and there was a group of girls that were practicing on a soccer field near where we lived,” Naylor explains, “and I ran out to the coach and said ‘hey, can I play?’ And that’s kind of how I went from just your traditional YMCA rec league to playing in the more competitive church league, and then the more competitive club leagues.” It’s exactly the go-get-it approach she’s been taking to the Sheffield campaign. Pssst…. In OTHER ioby news: Want more Memphis? Read about how this Memphis high school started from zero and raised over $20,000 to landscape its rundown lot.